Every sensei has had a unique journey. This book describes the paths travelled by the senior instructors of Goshukan Canada. Learn about the people who bring Seiwa Kai karate to life in Canada under the watchful eye of Fujiwara Shihan. 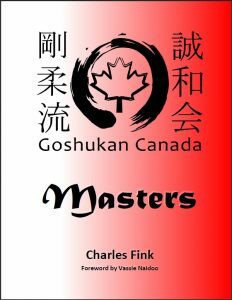 Available for sale at any Goshukan Canada Dojo for $30 or use the form below to have your copy shipped directly to you. For payment you will be directed to PayPal. You DO NOT need a PayPal account, just click pay by credit card or debit.